I searched for this recipe on my blog so I could update the picture when I was taking new pictures for my paperback cookbook – and I couldn’t believe it, but I haven’t posted this recipe yet! This is one of my favorites. 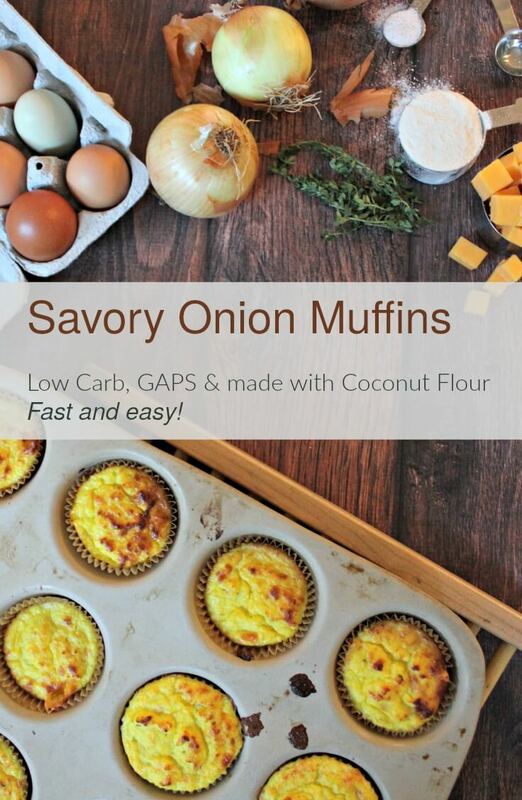 These savory low-carb onion muffins are delicious both with soup for dinner, and for breakfast or snack the next day. This recipe can be served to non-GAPS people and they will still love them! 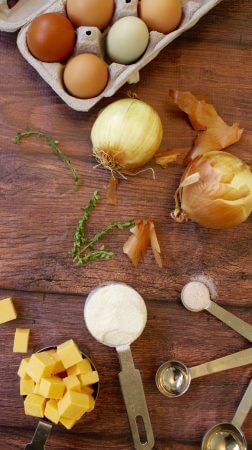 These savory onion-cheese muffins are a perfect low-carb nutrient-dense side for soup, salad, or any dinner. The recipe is super fast too, with only a few ingredients. Using a blender or food processor, puree onions. Add in coconut flour, eggs, and salt. Puree until coconut flour is well mixed in, then stir in optional cheese chunks. Grease a muffin pan or put in muffin liners. Fill the cups 1/2 full with batter, it should make 12. Top with thyme leaves if desired. Bake for 17-20 minutes or until a knife inserted comes out clean. Allow to cool slightly before removing. These are a favorite from my Grain Free Meal Plans! These printable simple family friendly recipes for those on the GAPS diet, or who are just grain free, make your life so much simpler! The paperback cookbook is a free bonus for those who buy the yearly plan! Click here to purchase. These sound yummy and I look forward to trying them. Have you tried other flours and which cheeses have you enjoyed? Hi Cara. This recipe is a keeper. So far I have only used it once. Well, admittedly I used sm-med onions, thinking to enhance the nutrients. GRIN. In addition to that error in judgement, it just so happened the eggs were large, but I added all six eggs anyway. As you can imagine, the word dough would not describe what resulted. To compensate, extra coconut flour got tossed in. 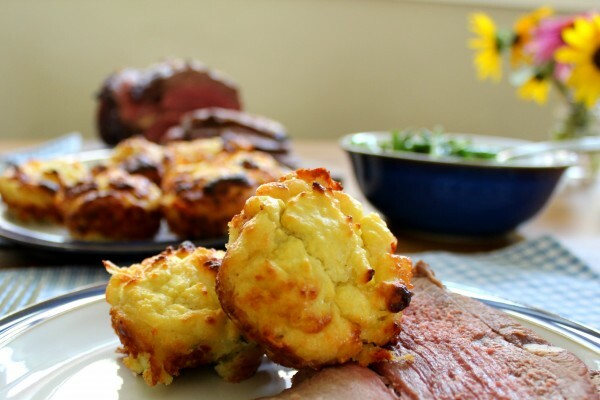 Even so, what we ate was more of an onion cake than onion muffins. EVEN SO, IT WAS DELICIOUS. Next time they’ll be even better, because not only will they be tasty, they will look and feel like muffins! Though mine still do not LOOK as yummy as yours, they TASTE great! I appreciate the recipe. I have to say neither I nor my family liked these at all. Maybe the onion that I used was too strong. I think this recipe has potential but it needs some work. I don’t think the results of this current recipe can rightly be called “muffins.” I would describe the texture as similar to a breakfast casserole. The second time I made them, I upped the amount of coconut flour by 50% and still in was very dense and egg-y and even a tad watery, not at all light and bread-y like a muffin. Some suggestions and ideas I want to try next time: down the amount of egg and try sautéing or even carmelizing the onion before blending to improve the texture and flavor. Alternatively, embrace the casserole-ness and throw some bacon in them next time to make individual size breakfast casseroles!